I’m getting married in two weeks and wanted to add a personal touch to the ceremony that reflected my love and appreciation towards my wife. 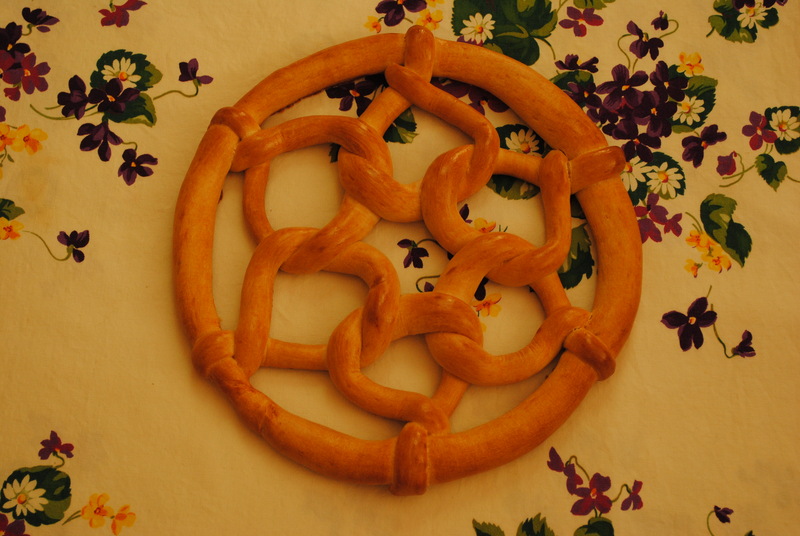 This festive bread ring is of Hungarian origin. At a wedding, it would be passed and broken amongst friends and family. A powerful symbol of unity. It’s no wonder why whole-wheat bread gets such a bad rap. 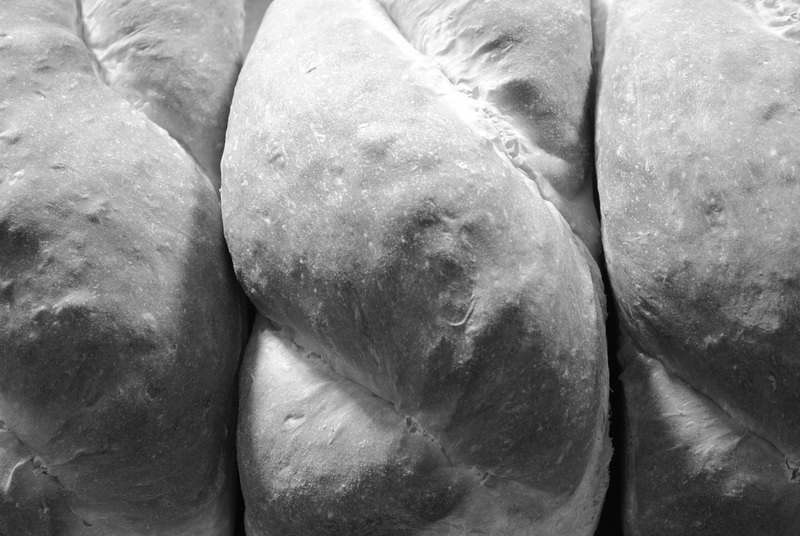 Supermarket loaves are often dense, bland, and dry. Rather like chewing cardboard. Wheaty, clean, and balanced, this version is a shining example of what whole-wheat bread can be. 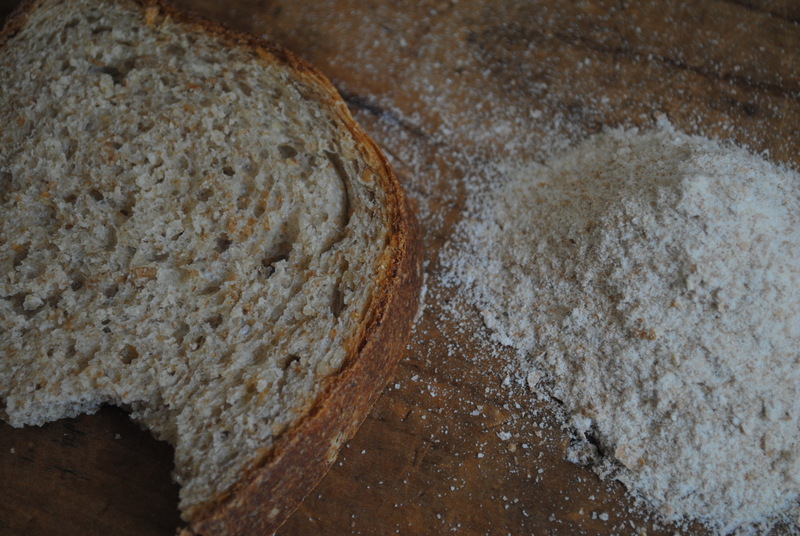 In a large bowl, add flours, wheat germ, salt, and yeast. Blend with fingers to combine. Add water, honey, and butter to flour mixture. Using a rubber spatula, mix dough until ingredients come together in a shaggy mess. Scape spatula clean with fingers. Continue to knead by hand until all ingredients are hydrated—dough will be sticky. Transfer to a clear plastic bin to rise (or just leave in the bowl and cover tightly). Since this dough only takes 1 ½ hours to rise, you’ll need to fold it every 15 minutes. If you’re not familiar with this technique, all you do is pull the dough up and over itself 4 times. This counts as 1 fold. After about 1 ½ hours, the dough will have doubled in size. Preheat oven to 400 degrees, move rack to middle position, and grease two 9”x 5” loaf pans. Lightly flour your work surface and transfer dough onto it. Cut dough into two equal pieces. Pull the dough into a rectangle 9 inches across. Roll the dough into a tight cylinder and place in the loaf pans, seem side down. Repeat with second loaf. Cover the dough with a kitchen towel. Proof for 45 minutes or until the dough barely springs back when pressed with a knuckle. Transfer pans to the oven and bake for 40 minutes, rotating pans halfway through the bake. Once the bread is finished baking, take it out of the oven. When it’s cool enough to handle, pull bread from the pan and let finish cooling on wire rack. Freshly baked white bread is what mothers should smell like. It’s comforting and safe. You can tell it all of your secrets. It’s love in a loaf. Whisk milk, water, and butter together in a small bowl. Combine flour, yeast, sugar, and salt in a large mixing bowl. Add the milk mixture to the flour mixture and stir with a rubber spatula until ingredients come together in a shaggy mess. Scrape the spatula clean with your fingers and continue to mix dough by hand until all the ingredients are hydrated. Continue to knead dough for 2 minutes, then transfer to a clear plastic bin to rise (or just leave in the bowl and cover tightly). Score the tops, then transfer pans to the oven and bake for 35 minutes, rotating pans halfway through the bake.